AUD 2,013 Excl. Duties / Taxes. This Marquise diamond is 0.51 carat in weight, and comes with Very Good polish and Very Good symmetry, as verified from an independent gemological laboratory. The diamond is graded D in colour, and has a clarity grade of VVS2. The diamond's GIA grading report number is 6271634935, which will detail further its specifications and measurements, and will also come with the purchase of the stone. AUD 1,071 Excl. Duties / Taxes. This Marquise diamond is 0.33 carat in weight, and comes with Very Good polish and Good symmetry, as verified from an independent gemological laboratory. The diamond is graded D in colour, and has a clarity grade of VS2. The diamond's GIA grading report number is 5286756789, which will detail further its specifications and measurements, and will also come with the purchase of the stone. AUD 6,070 Excl. Duties / Taxes. This Marquise diamond is 1 carat in weight, and comes with Good polish and Good symmetry, as verified from an independent gemological laboratory. The diamond is graded D in colour, and has a clarity grade of SI1. The diamond's GIA grading report number is 11739886, which will detail further its specifications and measurements, and will also come with the purchase of the stone. AUD 2,042 Excl. Duties / Taxes. This Marquise diamond is 0.53 carat in weight, and comes with Very Good polish and Very Good symmetry, as verified from an independent gemological laboratory. The diamond is graded E in colour, and has a clarity grade of VS1. The diamond's GIA grading report number is 7316164920, which will detail further its specifications and measurements, and will also come with the purchase of the stone. This Marquise diamond is 0.33 carat in weight, and comes with Very Good polish and Very Good symmetry, as verified from an independent gemological laboratory. The diamond is graded D in colour, and has a clarity grade of VS1. The diamond's GIA grading report number is 6292612402, which will detail further its specifications and measurements, and will also come with the purchase of the stone. This Marquise diamond is 0.57 carat in weight, and comes with Very Good polish and Very Good symmetry, as verified from an independent gemological laboratory. The diamond is graded D in colour, and has a clarity grade of VVS1. The diamond's GIA grading report number is 5172626885, which will detail further its specifications and measurements, and will also come with the purchase of the stone. AUD 12,119 Excl. Duties / Taxes. 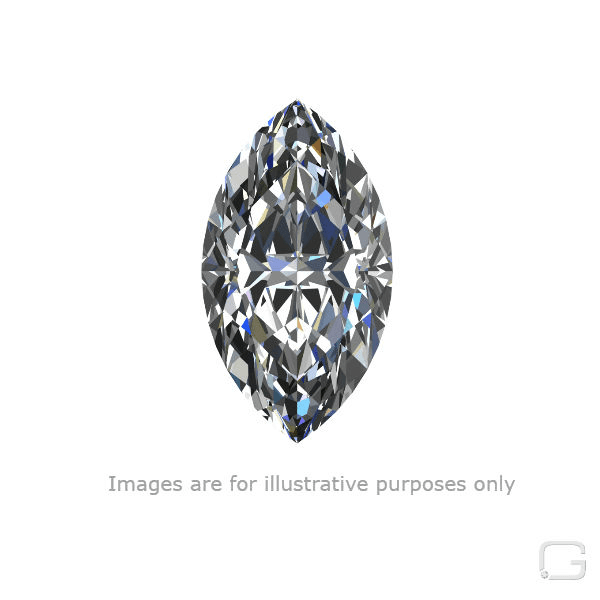 This Marquise diamond is 1.51 carat in weight, and comes with Very Good polish and Good symmetry, as verified from an independent gemological laboratory. The diamond is graded D in colour, and has a clarity grade of SI2. The diamond's GIA grading report number is 1182153100, which will detail further its specifications and measurements, and will also come with the purchase of the stone. AUD 7,650 Excl. Duties / Taxes.